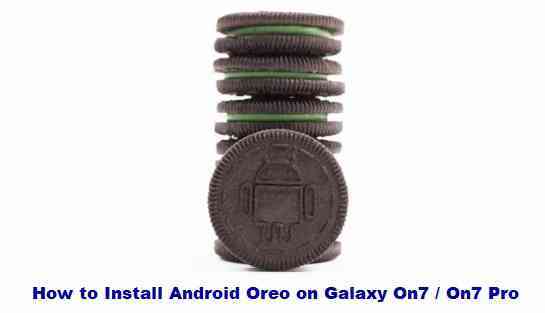 If you are looking to update Oreo for Galaxy On7 / On7 Pro Android phone, then here I have list of Oreo ROMs and a step-by-step guide on how to install Oreo on Galaxy On7 / On7 Pro. The Galaxy On7 / On7 Pro (model: SM-G600F/FY, codename: o7prolte) was last updated to Android Marshmallow officially. Almost all Android phone manufacturers provide 2 years of official update and Galaxy On7 / On7 Pro is no exception. It’s the custom ROM builds that keep the devices alive by providing latest Android updates there after. This is the primary reason I have brought you here, how to update Galaxy On7 / On7 Pro to Android Oreo 8.1 custom ROM. – Here is the How to install TWRP on Galaxy On7 / On7 Pro (o7prolte). Download the TWRP recovery for Galaxy On7 / On7 Pro from the Samsung TWRP recovery list. Install TWRP Recovery on Galaxy On7 / On7 Pro using ODIN Windows application. Then, download one of the Android Oreo ROMs available for Galaxy On7 / On7 Pro and copy the Oreo ROM file to your phone using TWRP MTP mode or sideload. Reboot your phone and enjoy Android Oreo on Galaxy On7 / On7 Pro. If you are facing any issue while following this guide, then you can comment here or you can create a topic on the Galaxy On7 / On7 Pro Forum or on the respective Oreo Custom ROM topics.